One of our favourite things is travelling to new cities and discovering some of the lesser know parts of these destinations as we wonder through the side streets and alleys on the hunt for some of the amazing street art works and murals that are often to be found if you chose to look for them. Our love of street art has seen us travel to many of the city street art hotspots often associated with street art such as New York, Paris, Berlin, Bristol but it has us lead us to locations we might not have otherwise visited such as Marrakech, Marseille, Malaga, Grottaglie and Stavanger. One such destination was the beautiful coastal Belgium city of Ostend, know as ‘The City by the Sea’. We had caught wind of a contemporary street art festival that was taking place in the city and set about making plans to visit. We’ll be honest Ostend was not somewhere we had heard of prior to our visit but what with the all star line up of 25 international and national artists descended on the city creating large scale murals and installations, The Crystal Ship Festival have helped make the city a must visit destination for street art enthusiasts around the globe. Belgian muralist ROA (Previously on Hookedblog) painted this large scale mono chromatic stack of sleeping / dead animals pictured above and includes a rabbit, a squirrel, a hedgehog, a mole a mouse and an animal we can't quite identify, maybe a rat! 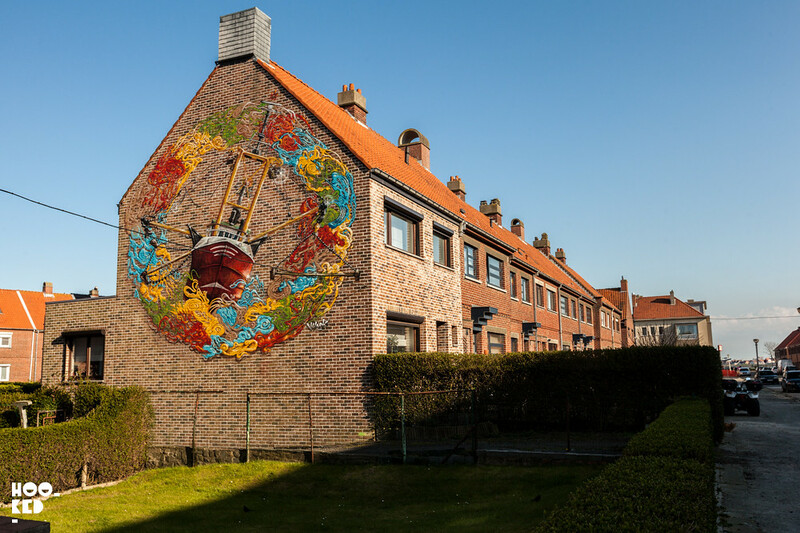 The mural is located on Hofstraat, Ostend, Belgium. 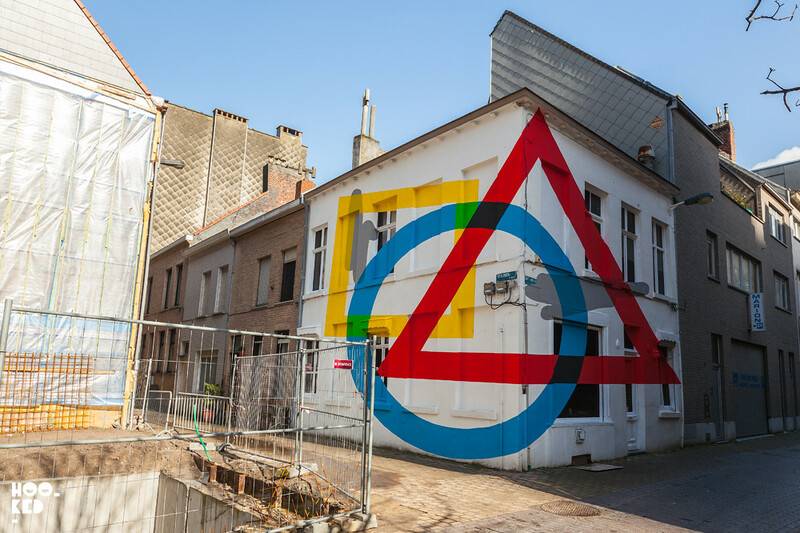 Argentinean Artist Elian's Crstal Ship Mural titled Exercise Of Anamorphosis #2 is located on Achturenplein, Ostend, Belgium. 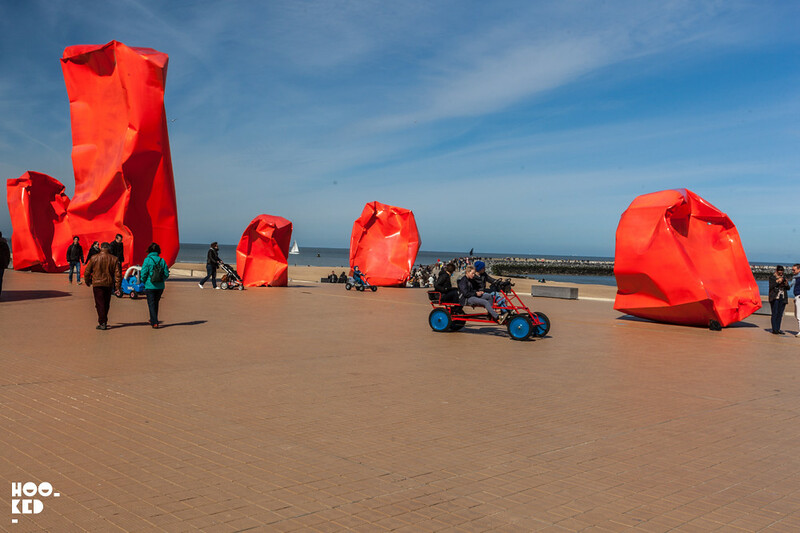 Two of the local Belgian street artists installing works right across the city of Ostend were Jaune (Previously on Hookedblog) and Pol Cosmo. 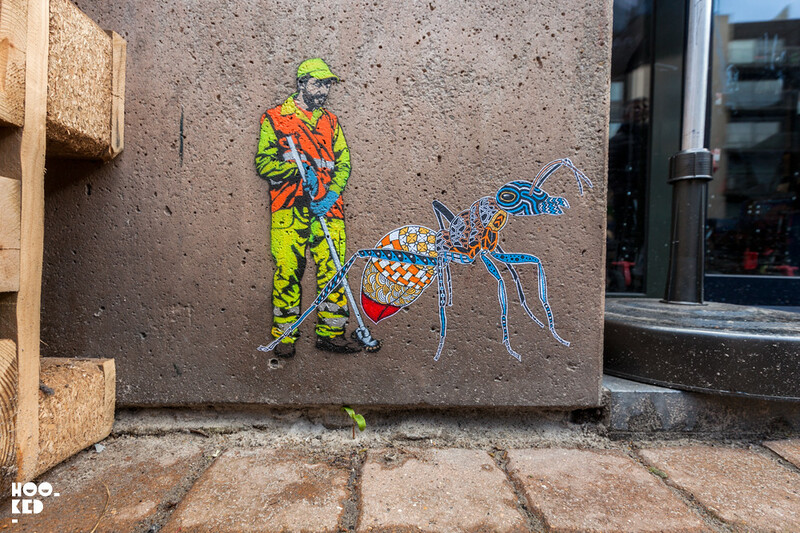 This collaborative piece sees one of Jaune's multi layer stencilled city workers along with with Pol Cosmo's colour pasted up creatures come together. 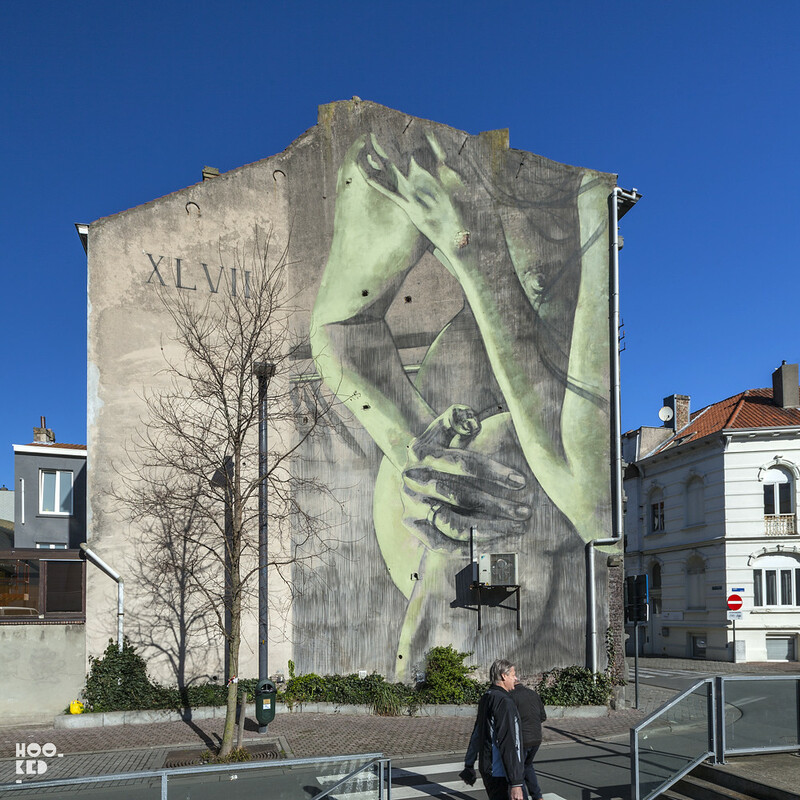 This piece is located right next to the Elain piece pictured above on located on Achturenplein, Ostend, Belgium. 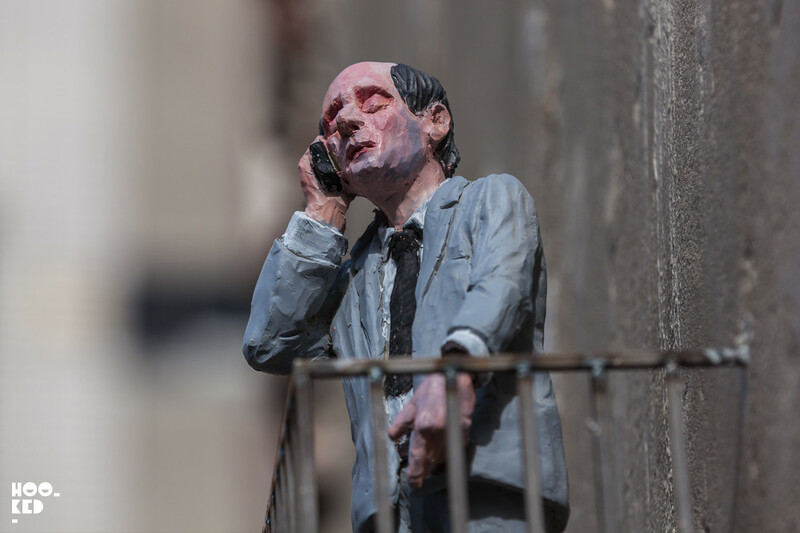 Another Belgian based artist Isaac Cordal installed a series of miniature sculptures at various locations across the city. Many of these interventions are installed high above the streets so be sure to look up. 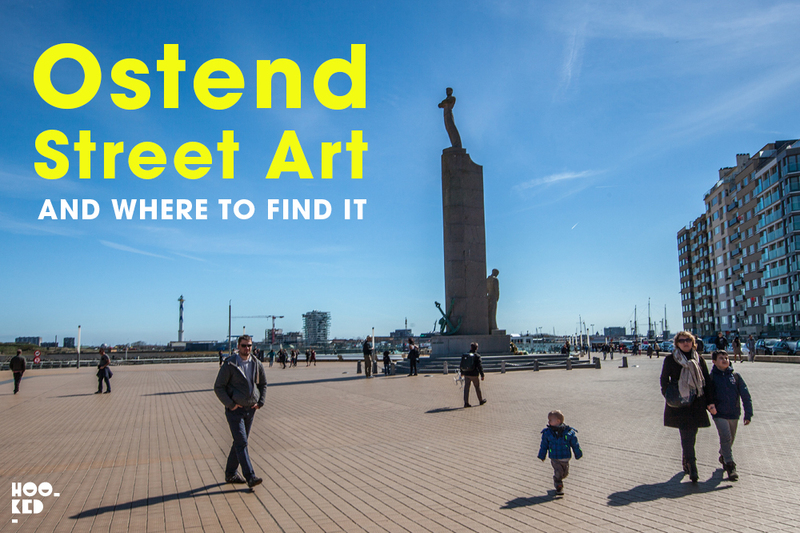 The eagle eyed street art hunters are sure to spot some of these sculptures but for everyone else we might suggest getting a copy of the map as there are nearly 30 different works to discover. Details on where to download / pick up a copy of the location map are listed at the end of the post. The work of South African artist Faith47 (Previously on Hookedblog) can be found at Peter Benoitstraat 77, Ostend, Belgium. 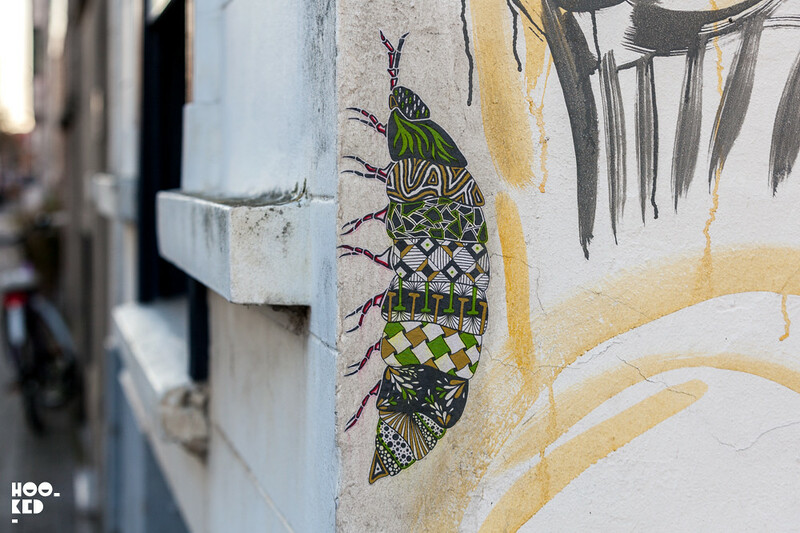 Some additional works from Belgian street artist Pol Cosmo whose vibrant creatures can be found climbing the walls of the city so be sure to keep your eyes peeled for them. Large scale work from Italian artist Agostino Iacurci based in Rome. 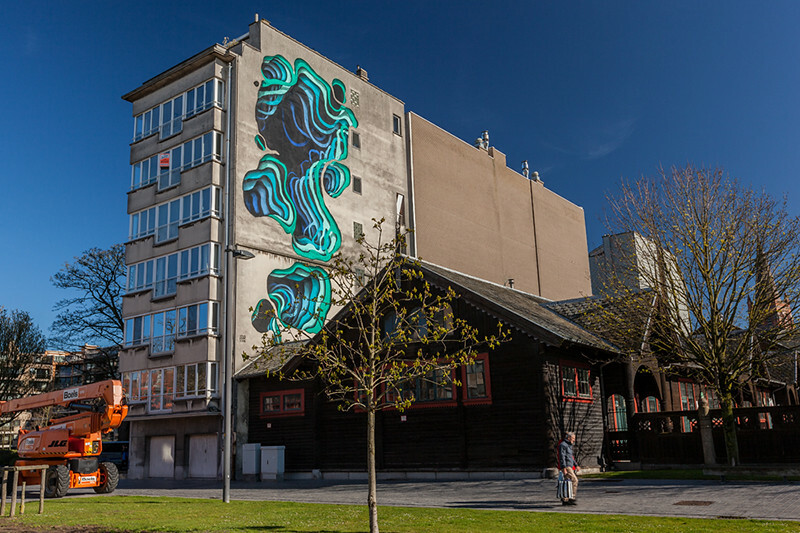 His Ostend mural can be located at Generaal Jungbluthlaan 4, Ostend, Belgium. Artist Siegfried Vynck was born in Ostend and this mural of his can be found at Zilverlaan 71, Ostend, Belgium. This mural is some distance from the city centre so we suggest getting one of the cities trams out to the location or maybe hire a bike and take in all the murals as with many European cities there are plenty of bike lanes. 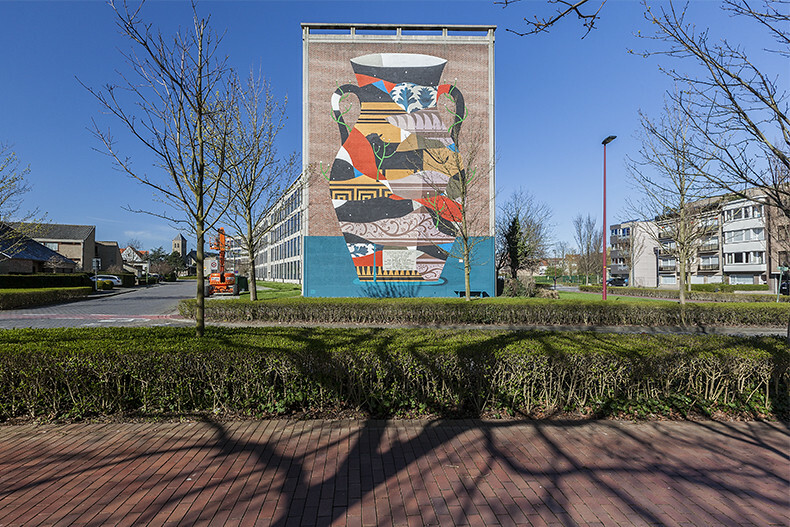 Inspired by the influences of Aboriginal and African art, American painter and sculptor Zio Ziegler based in San Francis painted this Ostend mural on Schaafstraat 29, Ostend, Belgium. 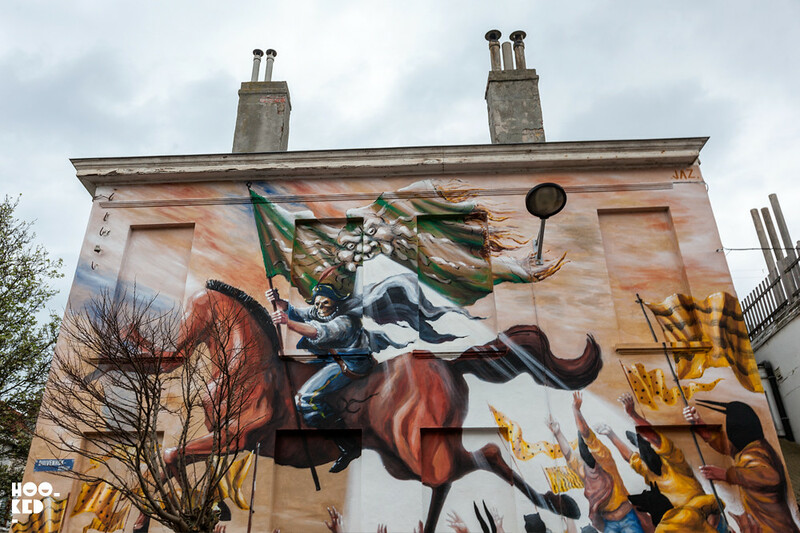 Born in Buenos Aires, artist JAZ (Previously on Hookedblog) painted this mural in Ostend inspired by Flemish artist James Ensor, a one time Ostend resident. 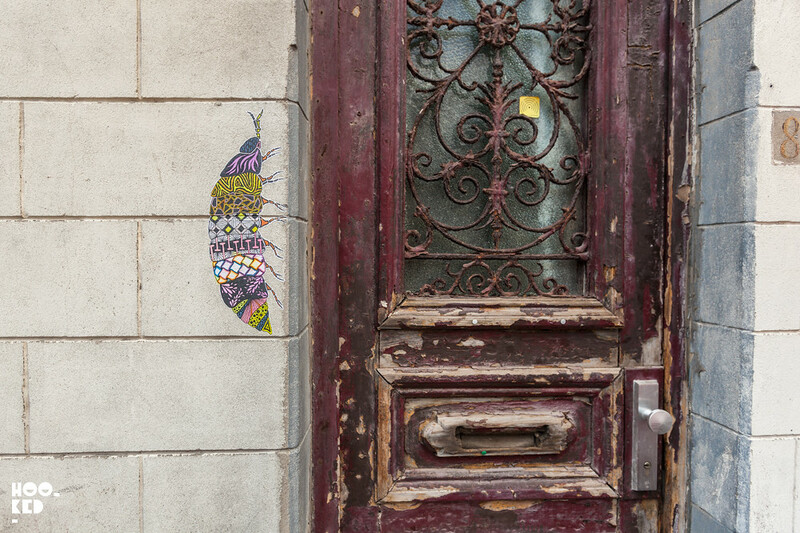 The JAZ mural is at Timmermanstraat 14, Ostend, Belgium. The striking work of German street artist 1010 taking over several floors of this building can be seen at Prinses Stefanieplein 63, Ostend, Belgium. The easiest way to get Ostend is by train, there is a regular service from Brussels-Midi/Zuid station with journey times on average 1h 20 mins. We travelled to Ostend from London on the Eurostar taking advantage or their Any Belgian station service. When booking your Eurostar tickets there is an option for Brussels only and another for ANY BELGIAN STATION which allows you to travel on the Eurostar to Brussels-Midi/Zuid station and onwards to any station in Belgium. We visited Ostend before the summer season started and as such there were a wide range of accommodation options to choose from. As we stayed for several days on our visit we choose to book a sea front apartment on Airbnb along the coast. As with any seaside destination accommodation during the summer season can be hard to come by so booking well in advance before you travel is advised. A visit to the home of Flemish artist Jame Ensor should defiantly be on your list. After a visit to the artists house the Mu. Zee is a must, it is the Art Museum by the Sea for Belgian art and where you will see amongst others some of James Ensor work. A new wing of the museum opened in 2016 and features a superb collection from two masters of Ostend, James Ensor and Léon Spilliaert. The Crystal ship have created a map detailing all the locations of the murals and street art created around the city. You can download a copy of the map directly from the Crystal Ship website here or you can stop by the Ostend Tourist Office and pick up a printed copy of the map. 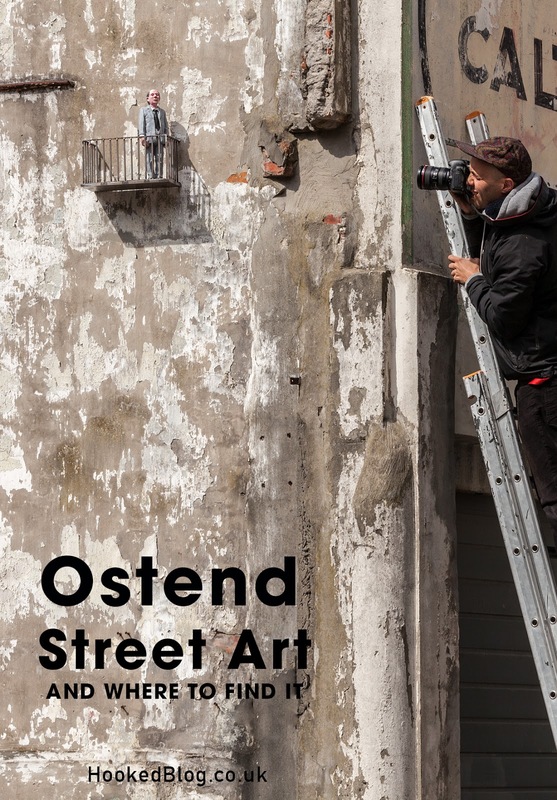 If you loved our post on Ostend Street Art be sure to PIN IT!! 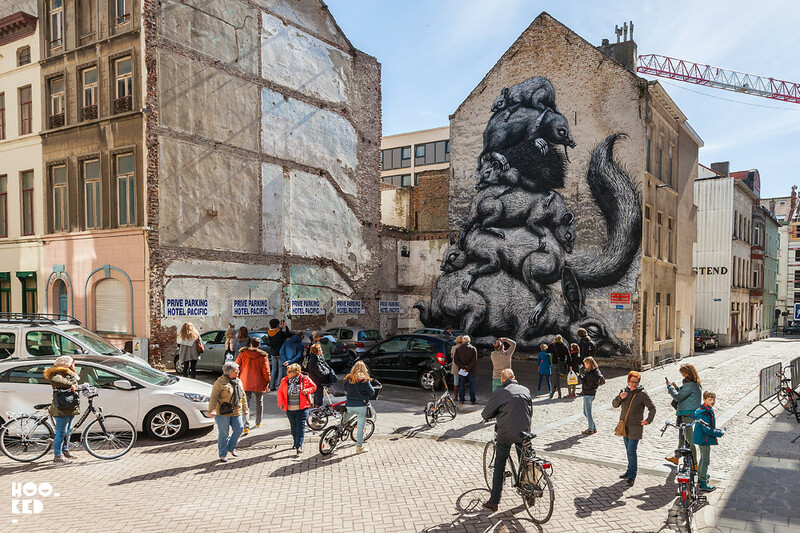 Following the success of the first edition of the Crystal Ship festival, 2017 will see the city of Ostend once again host the festival and a new program is planned so we can expect to see a whole host of new street art and mural works added to what is already to be found in the city. The second edition of the Crystal Ship is set to take place in early April, details have yet to be announced so for upto date info check out the The Crystal Ship website or follow them on Instagram.